When Mogulus launched in 2007, few people understood its name. Most people still don’t because, quite frankly, it doesn’t make a lot of sense. Or I should say, didn’t make a lot of sense — because beginning today, the service has been completely rebranded as something much more obvious: Livestream. So now Livestream moves forward. 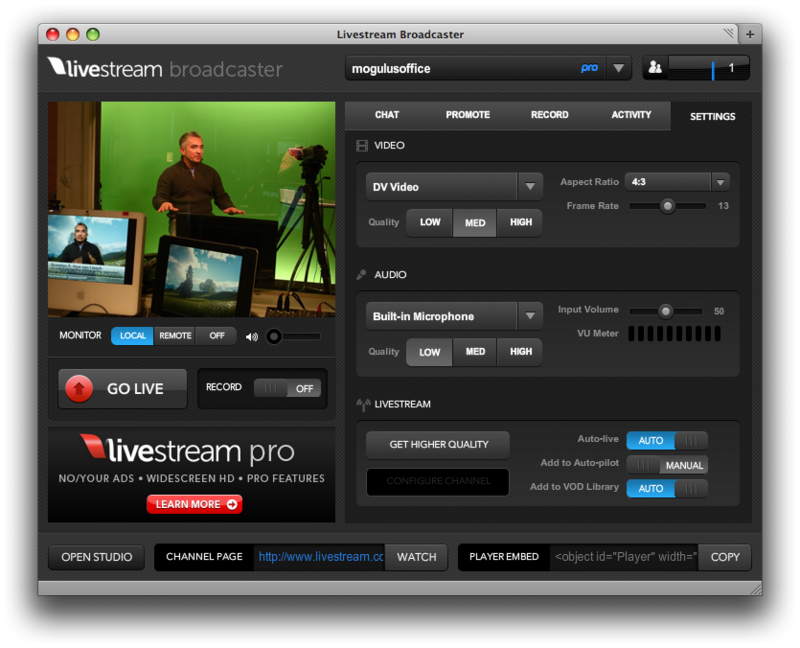 Having just launch its super simple Procaster tool that allows for one-button streaming over video over the web, the first tool Livestream will launch is Broadcaster. It will offer the same one-click simplicity, but will do so completely over a web browser, without any software needing to be downloaded (which you need for Procaster — which is also more powerful). Mogulus has seen some good growth over the past year in terms of visitors to its site, according to numbers from Compete. I suspect that will rise greatly with this new domain. But it’s the features that make users stick around, and this move to one-click publishing is a good idea — keep it simple, stupid, and all that. Haot also notes that Livestream has over 1,000 paying Pro members, the premium service it launched last year. So what was Mogulus going for with that name? Well, as you can kind see in the now old logo, it was Mogul-us, as in “anybody can become a media mogul,” Haot says. 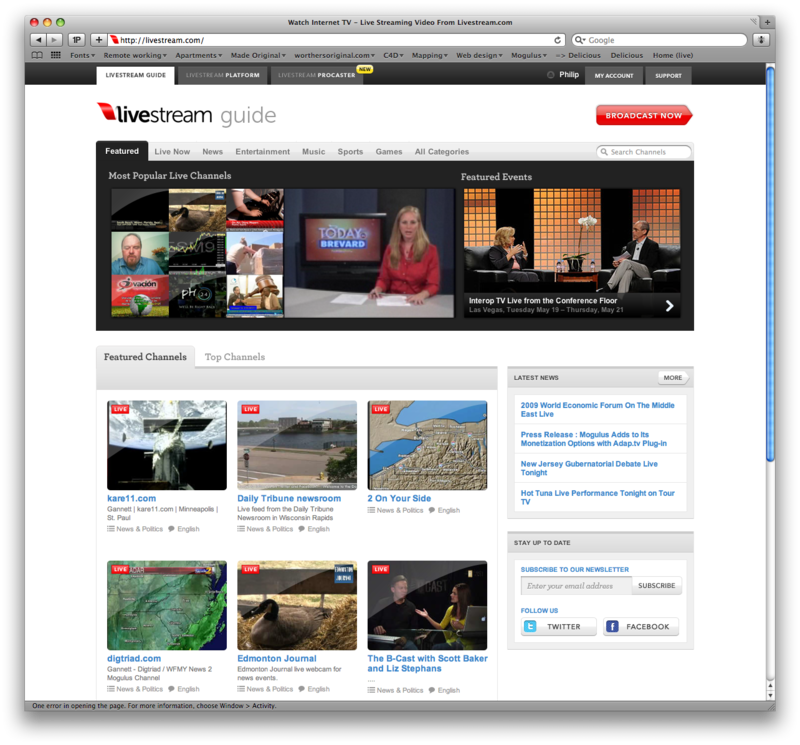 Yeah, Livestream is much, much better. Disclosure: Mogulus advertises their Procaster product on this site.